40% of the Japanese oil imports comes from Riyadh. This is synonymous for saying that Tokyo is totally dependent on Saudi oil. Without it, our economy won’t survive. The world famous “washlets” or high-tech toilets won’t move. However, nobody knew until now that the color of their crude oil was not black, but red. ‘Bloody red’. 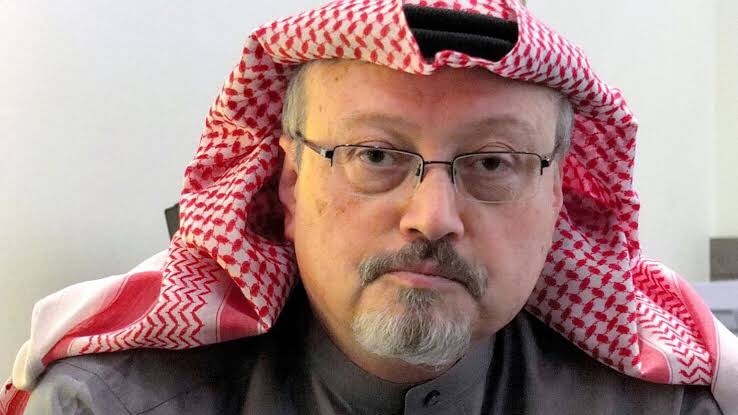 Journalist Jamal Khashoggi was purportedly ‘killed inside the Saudi consulate in Istanbul, then later cut into bits and pieces like a Sukiyaki meat’. Hair-raising as it is, it’s highly unlikely that the ‘real culprit’ will turn himself in. Western corporate medias seemingly allege that Prince Salman was the cold blooded murderer that ordered the killing. If that was actually the case no words can describe his irrefutable cowardice; to eliminate a chubby 59 year old just because he’s critical of you. Because he writes for Amazon founder Mr. Jeff Bezos’s little American newspaper. Big deal. Mr. Muhammad Bin Salman won’t come out. Especially if he was the mastermind behind this gruesome slaughter of an innocent man. There was a report that he just invited the victim’s poor old son to express ‘condolences ‘, whatever that means. I find the whole move not only erratic but disingenuous. But who ever ordered this slaughter on the extraterritorial soil in Turkey, the world knows now how creepy and despicable “The world’s No.1 oil exporter “ is. Its public image has been shattered and tainted like rotten tomatoes. And if Donald Trump refrains from “punishing” the kingdom but instead goes on with the monstrous $120 billion arms deal, then that will inevitably undermine the western core value of ‘human rights’. That it’s actually nothing but a ‘fake’ in America. Beijing admitted recently (October 10th, as far as I remember) that they run this “Re-education” camps for the Uighur Muslims in Xinjiang. The Chinese communist party intends to ‘ideologically transform’ people it regards as ‘extremists’. The crackdown in Xinjiang is known for its ruthless brutality, some using the term ‘genocide’. It just goes unreported since foreign journalists are banned from entering the area. And for the Saudi crown prince Muhammad Bin Salman, Mr. Jamal Khasshogi must also have been an ‘extremist’. A villain that needed to be erased perpetually. Riyadh and Beijing are both a totalitarian state. Tomorrow, the Japanese Prime Minister will make a state visit to Beijing for the first time in seven years. Thanks to the ongoing trade wars between Trump and Xi, the latter looks desperate to strengthen its amicable ties with Tokyo. Nevertheless, Abe, the Japanese PM I believe ought to remain adamant regarding Beijing’s brutal suppression on the Muslims downplaying human rights. Trump may be a flip flop, but he is at the same time candid expressing dissatisfaction on Riyadh’s ambiguous explanation of Khasshogi’s disappearance. When was the last time Abe rebuked the Chinese communists straightforwardly on human rights?! He never has, not the way that needs to be addressed as the world’s 3rd largest economy. If Tokyo intends to become a true global player advocating free speech, human rights and rule of law, we must not turn a blind eye to horrendous challenge against humanity as our post-war governments had done over the past seven decades. Such an cowardice attitude doesn’t make the world better, but just bloodier. Her husband was a criminal because he demanded the basic rights any human being are entitled to; free speech, human rights and the rule of law. Her husband was imprisoned for 11 years in 2009. Her husband took part in 1989 Tiananmen massacre that slaughtered thousands of its own innocent people. Her husband was diagnosed with liver cancer while held custody in prison and died soon after on July 13, 2017. 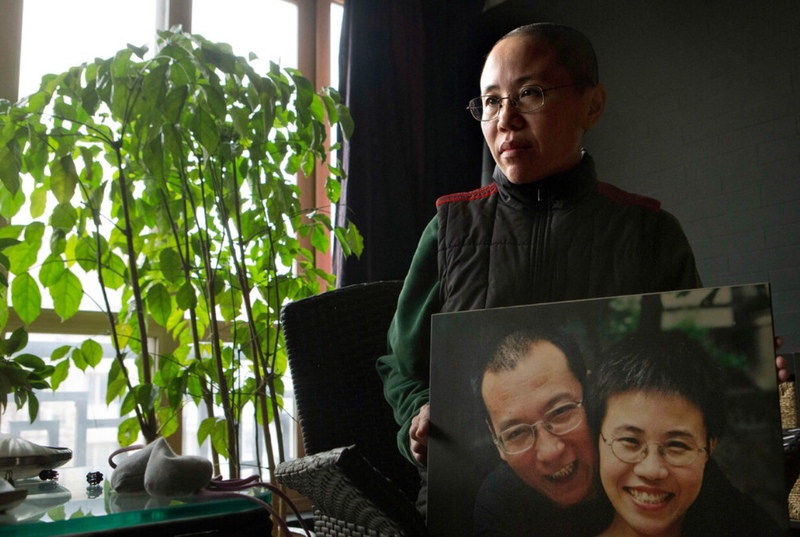 The “husband” mentioned above was a prominent Nobel prize laureate, Liu Xiaobo. And “her” refers to his widow Liu Xia. Because these two Samurais were both “former” Chinese citizens. I use the term because the husband has already passed away, while his adoring soulmate and wife finally arrived in Germany today (Jul. 10th, local time) after eight gruesome years of house arrest by the ruthless Beijing authorities. Undeniably it was conducive to German-Sino relations that Mrs. Angela Markell and her mighty friends purportedly put enormous pressure on the suppressors of basic human rights in CCP – or China Communist Party. It also taught the world today how inexplicably malice and spite this authoritarian regime of 1.5 billion people is. I have always been incredulous on how CCP downplays its people as well as the rule of law. Look at the ongoing “South China sea dispute” for example. Their arrogance is beyond belief. And as an imperfect Samurai, I am unequivocally adamant that Japan should and must remain vigilant on the procedures on how the CCP inflicts violence on truly brave men, including Nobel peace prize winner His Holiness the Dalian Lama 14th of Tibet but also its neighbors of Asia by using its rising economic power as the leverage. 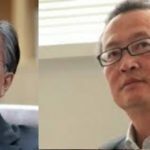 Tokyo must prove that it has the balls, instead of behaving in a nonchalant manner when it comes to blatant human rights abuses such as this Liu Xiaobo, Liu Xia case. Just because the Dalai Lama was welcomed by Mongolia back in 2016, CCP started bullying Ulanbaator soon after freezing its $4 billion loan as well as imposing higher ‘commodity tax’. This shows how frivolous and brash Beijing’s assertion is, whenever they claim “We intend to pursue dialogue through peaceful means. China is a country based on rule of law” – whatever that means. It’s nothing but a hype considering how they de facto use human rights issues (like Liu Xia case) for its political gains. When Merkel visited Beijing this May, Chinese premier Li Keqiang argued that “China’s constitution protects human rights” , which is of course nothing but a petty nonsense. And here he is today, right at this very moment in Berlin signing a commercial deal said to worth over $23 billion USD. I fully thank the defiant courage of the German lawmakers, activists and all those involved in rescuing Mrs.Lu Xia from a folly nation that imprisons not only those who cherish freedom as a human being, but also their partners. Communism indeed has historically proven its failure when the wall of Berlin went down in 1989 and the Soviet Union collapsing in 1991. Communism labels materialism above the rights of its people. Communism is also a practice that allows the ruling party CCP to behave as the GOD. Preposterous as it may be, its how things work in that country. Tokyo enjoys over $330 billion USD trade with Beijing today. But that does not mean it should turn a blind eye to opaque motives that brings vertigo among the civilized due to its unilateral self-righteous behavior. Not only the incumbent but also the post-Abe administration must have the balls and the guts to raise acrimonious debate over CCP’s relentless actions whenever needed. Because it is only Japan that can balance them, both economically and militarily. Diplomacy is not only about acting as a pawn of Washington or Beijing to gain economic surplus. That’s what you call a slave of capitalism. As I condone the spirit of free-trade, I do not fully agree with the Trump administration’s policies. But still, I must admit that it would be counterproductive for mankind and the region, for a communist-insidious-bully to become the hegemon of Asia in the 21st century. My understanding is that Liu Xiaobo should never have been incarcerated in the first place, if it actually the “Chinese constitution protects human rights” as claimed by Mr Li. With Kim Jong Un with his new “toy” called the nukes, the Japanese should wake up from its longtime sleep since 1945 if it longs to decide its own fate. And in order to do so, its national security strategy must change. Constitutional wise and military wise. Vietnam, the Phillippines and Taiwan surely counts on Tokyo to play a decisive role to maintain freedom and rule of law. Asia is not a Disneyland. 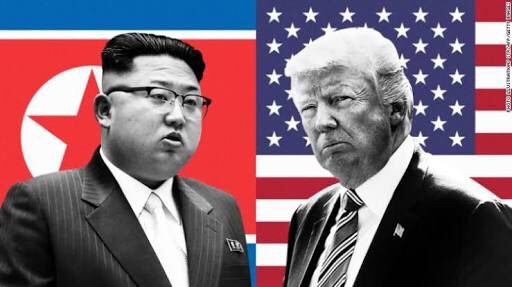 The 5 reasons why Trump should meet Kim in Tokyo. That’s how much he allegedly weighs. Pretty heavy, to be honest. That’s the distance from Pyongyang to Tokyo. Pretty close, to be honest. ICBM shall strike the world’s largest capital of 38 million in less than ten minutes. Whether the ‘Fat Turd’ (FT) is a smart-cookie or not as hailed by Trump, he indisputably is a huge menace to Japan as well as Asia as a whole. Of course, we are referring to the ruthless, reckless Pyongyang dictator Kim Jong un. FT never goes to the gym. All he does is eat, drink, kill and excrete. But still, the international media is totally dominated by this Fatty. Not a day goes by without the rockstars ‘FT & Donald’. Should North Korea be obliterated, he won’t dare take the risks to continue the nuke tests, pundits say. His mother Ko yong hee’s birthplace is a state secret, to begin with. The AERA magazine, published by Japan’s liberal Asahi newspaper reported back in 2012 that FT (not the Financial Times) ‘s mother was born in Tsiruhashi, Osaka in 1952. Ethnically Korean, she was purportedly a “Zainichi Nisei” (2nd generation Korean residing in Japan) according to quite a few Japanese medias. 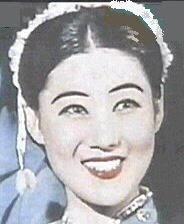 As the third wife of the late Kim Jong il, she had three children, and the notorious FT was the second son. The other Fatty gentleman that was murdered at KLIA recently was FT’s half brother. They had a different mom. While the famously unpopular U.S president’s polls suggest only three out of ten Americans support the man, FT has the backing of 100% of its citizens. I mean, the North Koreans are deprived of their basic voting rights. Therefore, ostensibly FT enjoys full support from its 25 million citizens. That’s a stark contrast, isn’t it?! Hollywood actor Robert De Niro is adamant when he rebukes Trump as a ‘stupid dog’. His coherent stance is pretty much remarkable compared to Mitt Romney for example, who called Trump a ‘phoney’ during the election but later became a panting puppy after Hillary was ousted. Others in the business seem to have no guts to mock the 45th president the way De Niro does, and I adore the ‘Taxi driver’ for that. ‘Fat Turd’ Kim Jong un is by no means a ‘smart cookie’ as depicted by Trump. I firmly believe he is nothing but an inexplicable, spoiled 130kg dumbass who’s serious only about how to alleviate his feeling of hunger when his people are eating shoes. Hilariously, Tokyo is a puppet of Trump. The complacency of we the Japanese is staggering, without a single thought on ‘how to face the grave military aggression of not only FT, but also Beijing and Moscow’ in the years to come. Today is the national constitution day. May 3. It marks the 70th anniversary since our current constitution ‘Made by USA’ made a debut in the ruins of over 66 heavily bombed Japanese cities, leaving two million without a home. I will not celebrate this day like other flock of sheep without balls, nor raise the Japanese flag. The highly hypocritical ruling party LDP is yet to accomplish the revision of the contentious ‘article 9’ of the 1946 constitution in which they promised back in 1955. PM Abe and his comrades argue the need to do so ostensibly, but are not really serious about it, since it is by far easier and less risky to remain as the ‘dog on a leash’ – Trump Doggy , that is. It is proven by the fact you hardly see LDP MP’s addressing the need to amend article 9 out in the open public, like Shibuya and Shinjuku. LDP is not serious about it, nor are its citizens. 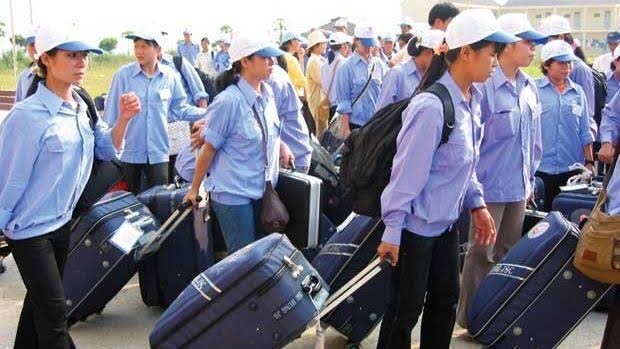 So if you work for PLA or the Chinese Communist Party, don’t miss the chance, or you’ll regret it. Dear readers, I’m by no means downplaying the Whitehorse. All I’m stressing is the need for Tokyo to beef up its sovereignty and military capability to face FT and its communist allies. Because if we continue our ridiculous subservient attitude towards the US (since the present constitution came to effect on this very day, 70 years ago) , it will endanger not only the land of the rising sun but the ‘bankrupt’ United States of America itself. ‘Please defend us American mommy!’ – that’s been the orthodox, shameful attitude of the Japanese after WW2. Boy, do we ever grow up. Fat turd Kim Jong un’s mother was born in Osaka. Bruce Springsteen was born in America. 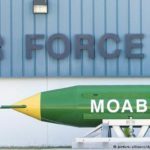 The moment Trump or Kim launches a pre-emptive strike on its adversary, some serious consequences will occur. All Tokyo Disneyland, Universal Studios Osaka and Ko Young hee’s birthplace may be obliterated. But probably that’s only when Tokyo will retain its genuine independence. Or is post war Japan itself an American joke fellas?! The next President of France will be Jean-Marie Le Pen’s daughter, albeit good or bad. Confusing as their names are, so is the phenomenal shift in the western politics these days. Brexit, Trump and ‘Marie’. 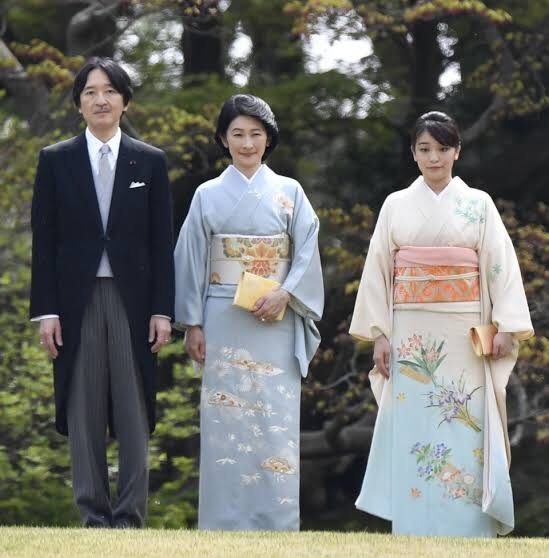 From a Japanese perspective, it is simply unimaginable how father’s name is ‘Marie’ and the daughter ‘Marine’. I mean, it even sounds like a pure French joke. No guy in Tokyo is called ‘Yoko’. John Lennon’s wife?! Absolutely. But it’s no boy’s name. It’s like calling Sean Lennon ‘John-Yoko’ Lennon. Although I may be a nobody in the ‘Far East ‘ (seen from Paris, that is) living in obscurity, this French naming sense is already inexplicable to say the least. And the upcoming election on April 23rd to decide the next ruler of the ‘land of the croissant’ is not only unpredictable like Trump, but inexplicable by nature. Recent homicides in Europe by Muslim extremists make Le Pen (for get the other ‘Marie’ – he’s just a detail in French politics) appear as a savior rather than a ‘dangerous far right extremist’ as often labeled by the western corporate medias like the AP. I emphatically claim so due to the fact the so called ‘Far left’ candidate, Melenchon’s manifesto is no different from that of Le Pen – which is to pull France out of the EU. Furthermore, this newcomer is also lobbying to quit the ‘obsolete’ NATO. Despite the fact, the former is labeled as the far right and the latter far left. A ‘tougher stance on immigrants’?! Well Le Pen is surely claiming to deport illegal immigrants mainly from the former French colonies in the North African -sub Sahara region, but taking into account the perpetual suicide bombing by Paris government’s formidable adversary – which is of course the IS and its devout followers, I believe it is only natural to suspend immigrants for the time being till things settle down. And isn’t that the unshakable reason why she’s surging hugely in the recent polls?! I unequivocally refute any sort of racism, discrimination and segregation. But the recent bloodshed on innocent civilians in Monaco, Nice, German cities, Belgium and Paris is not only unacceptable, but has probably reached the level of intolerance amongst the Europeans as a whole. And furthermore, it is nothing got do with ‘racism’. To lead this argument towards that direction is pretty much hypocritical, to my understanding. That being said, it is only natural for me to reach an unshakable conclusion of a first women president in the land of croissant. Oh, but you know what?! Croissants in Tokyo taste better these days!